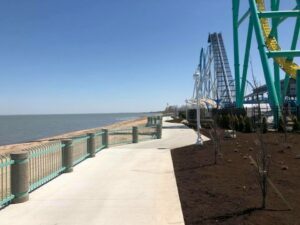 The 1300-feet sea green fence of Cedar Point’s famous boardwalk, which runs from Sandcastle Suites to Windseeker, is now complete. 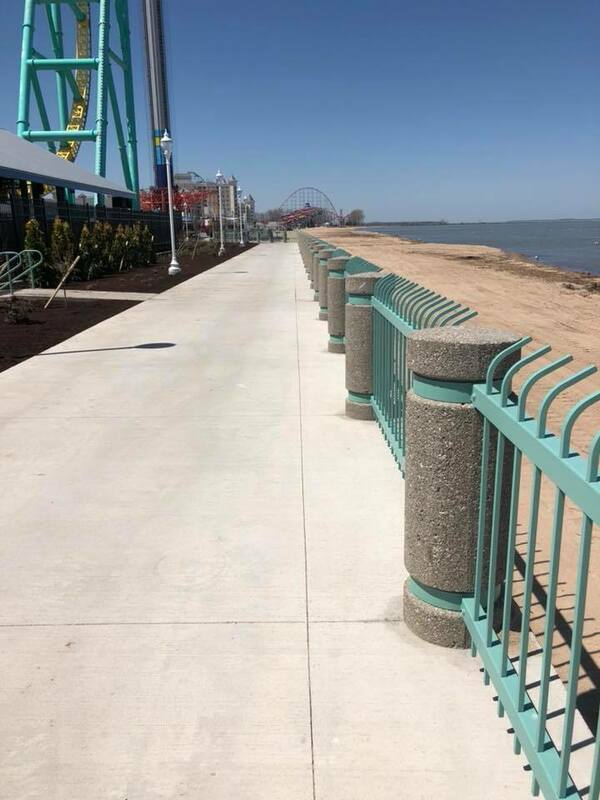 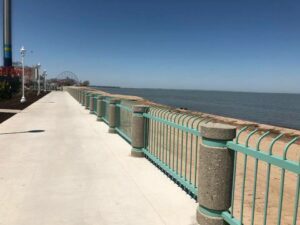 The boardwalk fence, which is being expanded to reach the main parking lot, has been treated with powder coating by Architectural & Industrial Metal Finishing Company. Much thanks to Wald Wlodarsky of WELD TECH, LLC for entrusting the powder coating project.